Having only got into the virtualisation community with the past year and a half I’m obviously a relative newcomer compared to the likes of Duncan Epping of Yellow Bricks Fame and Scott Lowe of ScottLowe.org fame to name but two. 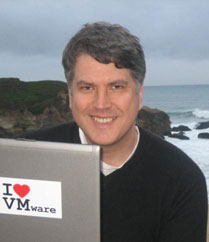 But the way the community has shared their knowledge and helped me to grow to a point where I’ve been selected as a vExpert I think comes down to the leadership and excellence of one man and the honorary leader of the VMware Community and the owner of the vExpert community John Troyer. 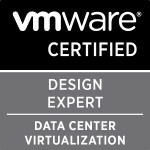 I first got to know about John and his hard work via the VMware Communities Roundtable podcasts that he hosts every week. As a true leader he’s always working to make the community better and puts in a substantial amount of work every week for the podcasts, hosts the live interviews from both VMworld US and Europe,has been spreading new about virtualization at the VMTN Blog since 2005 and makes sure the vExpert community is giving back to the whole VMware community while making sure the vExpert community is a place you want to join and stay a part of. I was very fortunate to meet John in person at VMworld Europe last year and spoke briefly to him and told him how it was my first year and my impressions of it all which he was highly interested in. From this interest he even got me to give my opinion on being a first year attender to the conference and what I enjoyed for the conference on the VMworld Europe wrap up roundtable podcast. Categories: Social, Virtualisation | Tags: John Troyer, vExpert, VMware Communities Roundtable, VMworld | Permalink.